You will say Home Sweet Home as you enter this lovingly kept 3 Bedroom, 2 Bath move in condition townhouse. Meticulously kept inside & outside, beautiful exterior landscaping. Living room w/wall to wall carpeting, beautiful dining room with hardwood flooring, decorative moulding, chair rail and chandelier. Newer eat in kitchen with gas range, microwave, recessed lighting, Refrigerator, dishwasher & ceiling fan. All three bedrooms have closets, six panel doors and ceiling fans. New Ceramic tiled Bathroom & linen closet. The finished basement is nicely done with recessed lighting, storage closets, full bathroom with a shower stall,laundry area, utility area and outside entrance to the rear driveway, parking for 2 cars. All systems have been updated, central air conditioning. 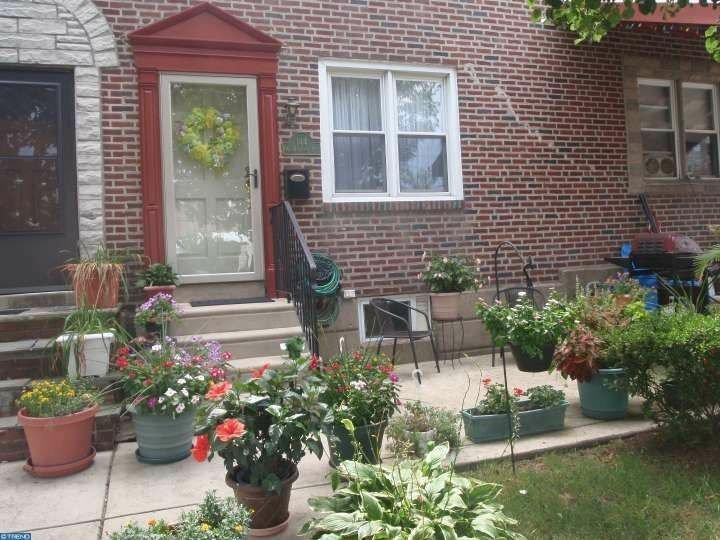 Convenient location, park around the corner, walk to transportation, shopping & schools. Pride of Ownership beams in this home! Own for Less than RENT! With a $5,000 seller assist and a $5,081 Grant through the Sapphire Program, Cash Needed $5,400.00.